The Rift Valley Institute's Usalama Project is delighted to announce the launch of the first two reports in a series of publications on armed groups in the Democratic Republic of the Congo (DRC). You can download both reports from our website. The first Usalama report is an account of the origins and trajectory of the new M23 rebellion and its alleged relationship with the Rwandan government. 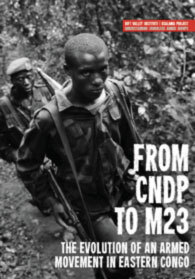 The second report traces the deeper history of conflict in the CNDP's and M23's stronghold, North Kivu province. The second Usalama Project report describes the historical context of the current conflict in the eastern DRC. The province has been the epicentre of war in the DRC and has generated a multitude of armed groups, with more than two dozen emerging over the past two decades. It was here that the precursors to the Congo wars began with ethnic violence in 1993, and it is here that the most formidable challenges to stability in the country persist today. The report sketches the historical backdrop to these conflicts, describing their social, political, and economic dynamics. We hope you enjoy these first two reports. 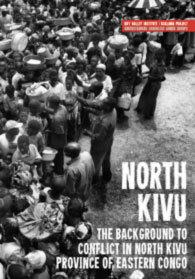 The third, The PARECO coalition and Hutu resistance in North Kivu, is due for publication in early December. Further reports on the armed groups of North Kivu, South Kivu, and Ituri will be published at regular intervals during 2013. Please feel free to circulate these reports among colleagues and friends. French versions will follow in late November. Victory Security will help build a peaceful and safe place to live. Excellent article I really like your current document adore the way you defined things, you are doing a terrific job a lot of people like you as a result of in which sort of beneficial weblogs provide consciousness to us associated with lots of things. When i study a few other interesting blogs out of your internet sites along with I am a whole lot engaged together with your blogging abilities, My partner and i in addition started to produce websites and also this variety weblogs actually assist us out and about. My partner and i previously book marked your own web site as well as discussed the sites to help my own acquaintances not just me nevertheless them all such as ones blogging ability, expect a person create much more intriguing blogs in this way a single and all the best . for ones future websites.